Jerry, Jimmy, and Kathleen can't go home for their school holiday because their cousin is sick with measles there. Instead, they stay at Kathleen's school with the French teacher. One morning, they set out to find adventure. Instead, they find an enchanted place--and magic, too! Walking through a nearby forest, they discover an enormous mansion, where a girl lies asleep in the garden. Although she pretends to be an enchanted princess, she is Mabel, the housekeeper's niece. But she has a ring that really is magical. It can make the wearer invisible and grant wishes. It's not long before the four friends are surrounded by strange and wonderful things. E. Nesbit, born in 1858, was an unconventional woman whose home was a center for writers and artists, including George Bernard Shaw and H.G. Wells. When she was asked to try her hand at children's stories, she created a series of books that combined fantasy and memories of her own childhood. 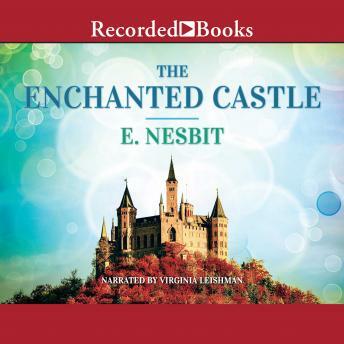 First published in 1907, The Enchanted Castle is a timeless story of friendship and magic.